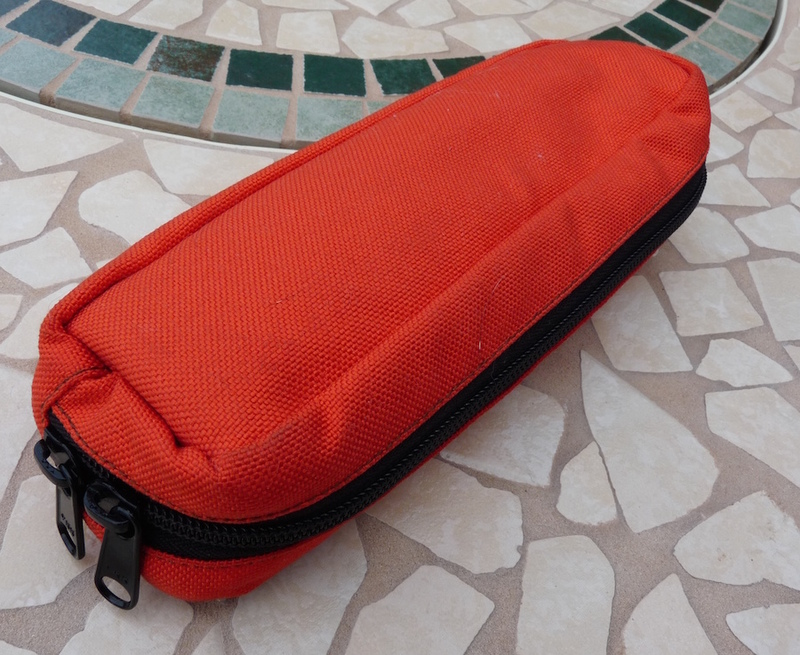 Nock Co Brasstown pen case review – Pens! Paper! Pencils! 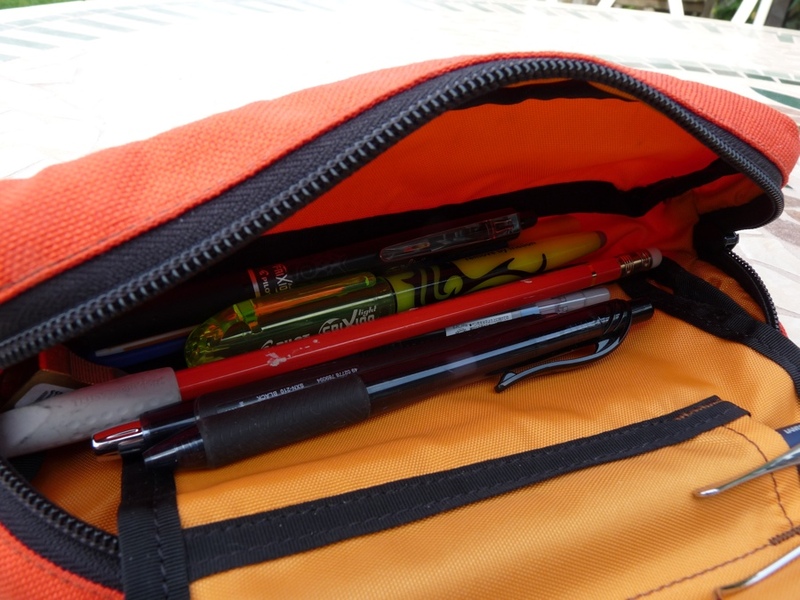 The Brasstown is a pen case zip roll pen case from Nock Co. It’s made from waterproofed nylon and costs $35. There are six different colour options: orange/orange, orange/blue, navy blue/grey, navy blue/blue, grey/orange and grey/blue. Clearly orange/orange, or to give its official name, mandarin/mango, is the only completely acceptable option although grey/orange (steel/mango) looks pretty gorgeous too. 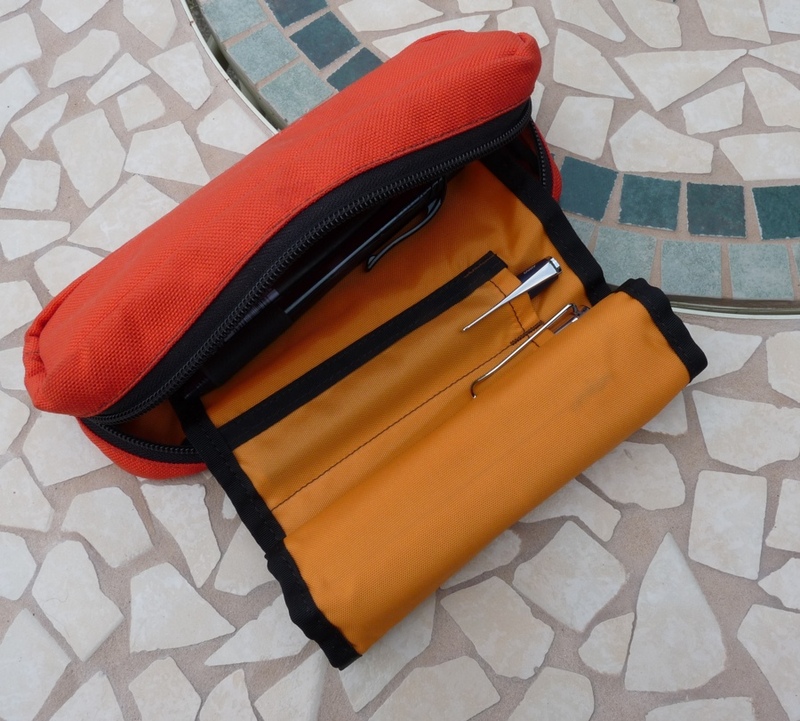 Whichever colours you pick, you get a pen case made from heavy duty nylon with a strong zip. It reminds me of climbing equipment and as such feels strong and reliable. 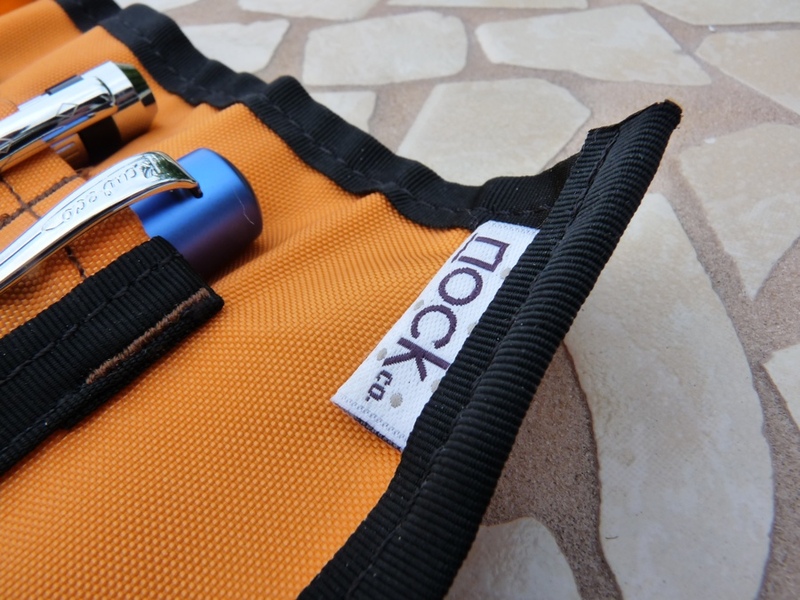 All of Nock Co’s cases are handmade to extremely high standards. The stitching looks to be fantastic quality. There are two aspects of this case that make it special. One is the quality, the other the unique, as far as I know, wrap/case combo. The extending tongue (sounds like something David Attenborough would be talking about) holds six good sized pens and this tongue rolls up to be contained within what is more like a traditional pencil case. 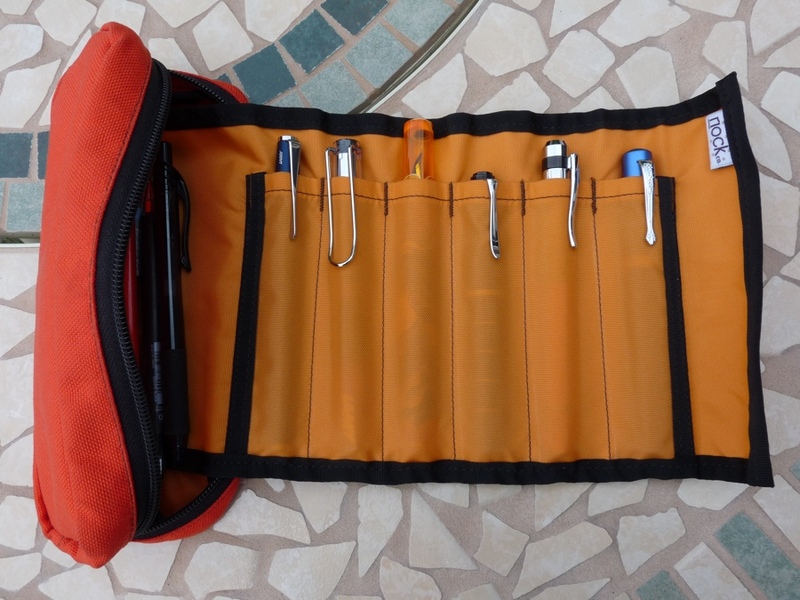 What this means is that you can keep six of your more precious pens safe and snug in the inner sanctum and bung a bunch of other pens, pencils and odds and ends in the main part. The extended design of the tongue means none of the pens in this part will touch. This is my primary case for storing pens that I’m currently using. It holds a lot of pens and it holds them safely. 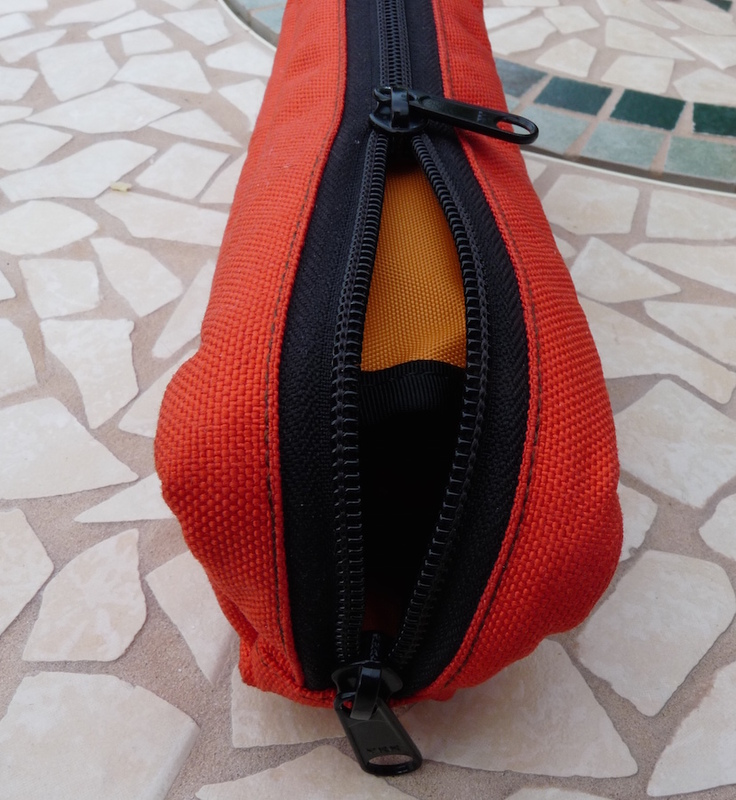 What I keep in there varies week to week but here is what it held when I took these pictures. In the tongue part, from left to right: Lamy Studio, Lamy Vista, Twiss Marmalade, Pelikan M215, Franklin-Christoph M27, Kaweco Allrounder. In the case part, from top to bottom: Pilot Frixion, Pilot Frixion highlighter, Palomino orange HB pencil with a Faber-Castell eraser, a grey Pilot Juice hiding underneath it, Uniball Jetstream, Pentel Energel. There’s also a Kum brass pencil sharpener in there. Wonderful pics and so glad you like the case! Thanks Brad. Top work, as always.